At the end of a brick-paved street in the historic German Village neighborhood of Columbus, Ohio you will find a restaurant run by a family who's been in the sausage business for over 129 years. 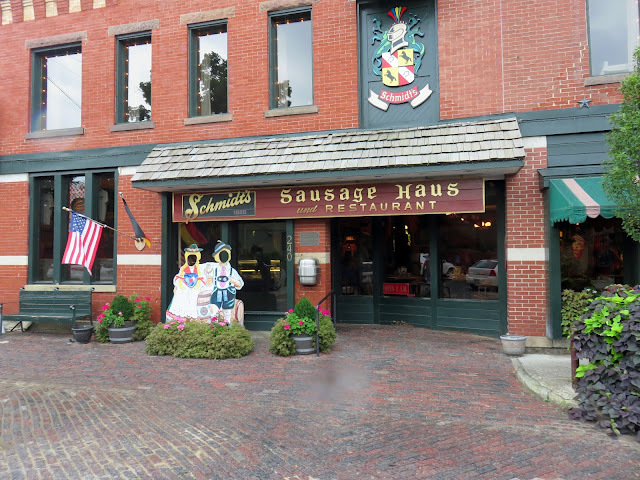 Schmidt's Sausage Haus opened in the 1960s, but they've been making sausage since 1886. 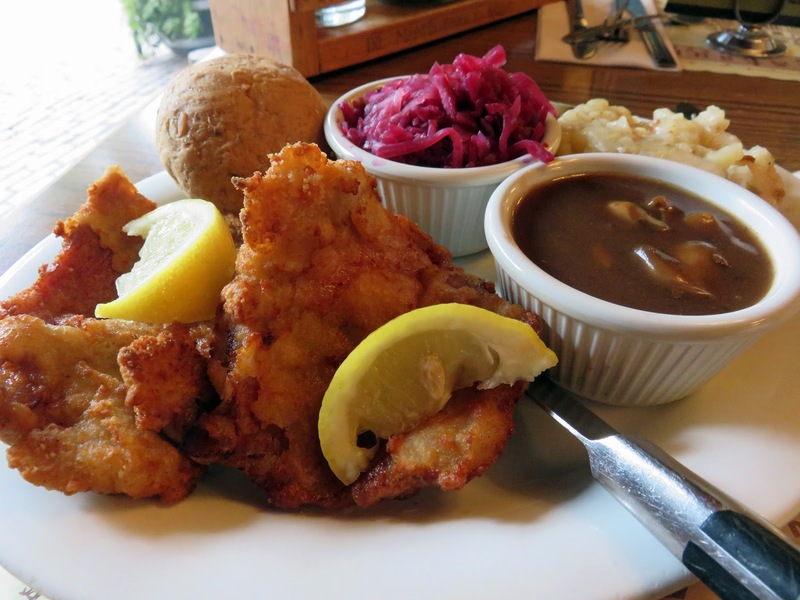 I had the Wiener Schnitzel und Gravy (Milk-fed veal cutlets, lightly coated with a crisp breading topped with fresh mushroom burgundy based gravy), a German tradition. 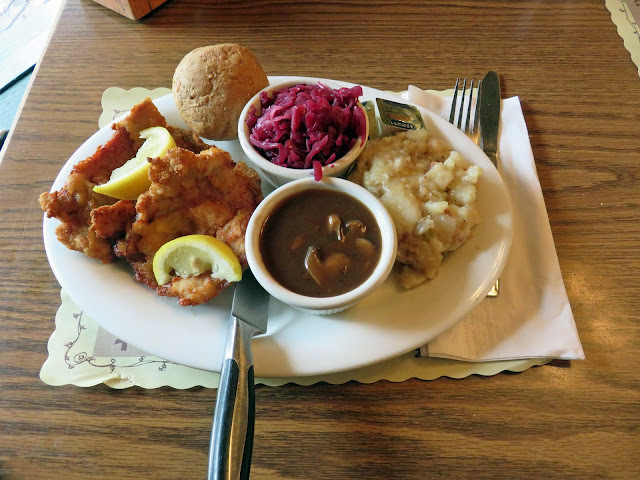 It came with a side of German Red Cabbage, German Potato Salad, and a roll with butter. I rarely have veal, and this was pretty delicious. The only complaint I have is that the veal should have been pounded much thinner than it was. But, it didn't take away from the flavor, so I guess it's not too much of a complaint is it? Ed had the German Autobahn Buffet, which allowed him to sample several of their most popular menu items. 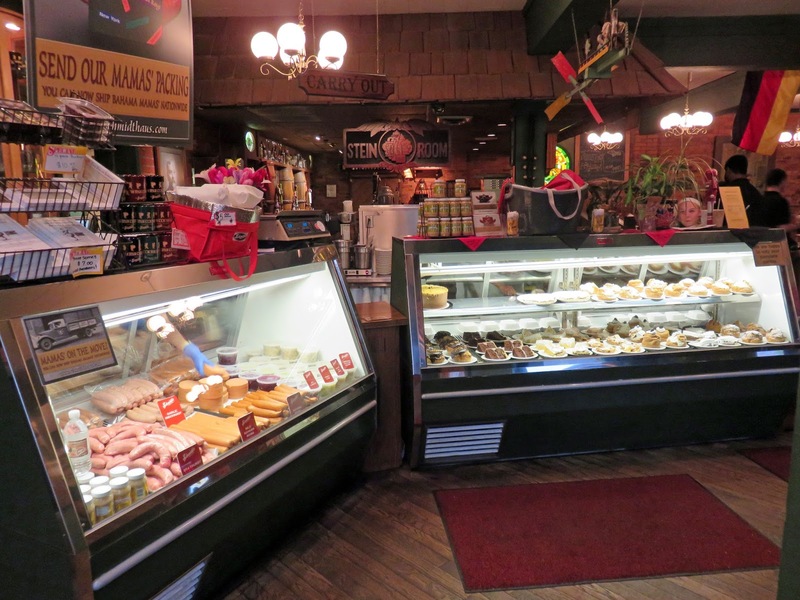 He tried the Bahama Mama, Bratwurst, German Knockwurst, German Potato Salad, German Red Cabbage, and more. At the entry area of the restaurant is a take-out area where you can buy meats, sauerkraut, red cabbage, and desserts to go. 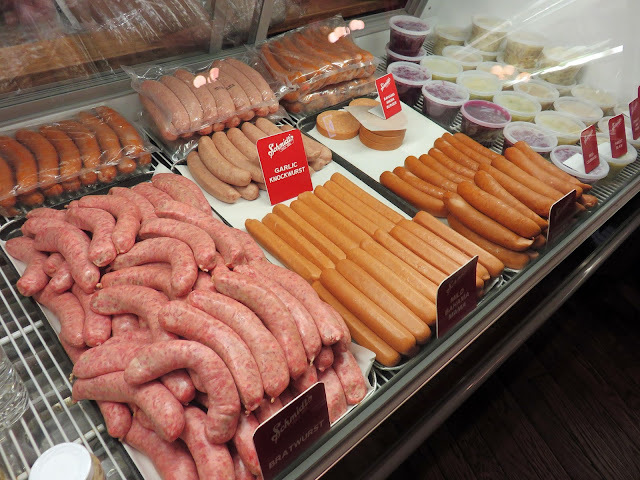 The meat case held bratwurst, garlic knockwurst, mild and regular Bahama Mama sausages, Bahama Mama "burgers", and side dishes packed to bring home. The other case was full of dessert. 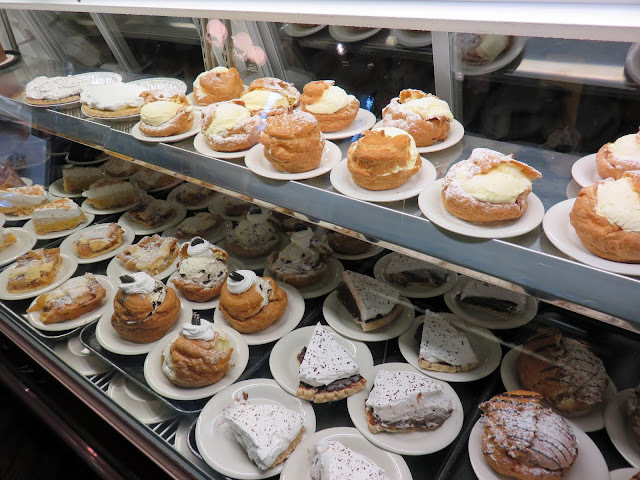 German Chocolate Cake, Chocolate/Coconut/Banana Cream Pies, Apple Strudel, and the biggest Cream Puffs I've ever seen! We bought one to share, took it back to the hotel for our late night dessert and coffee ritual. I can't even express how amaaaazing it was! Light, airy cream inside the tasty Choux pastry puff. 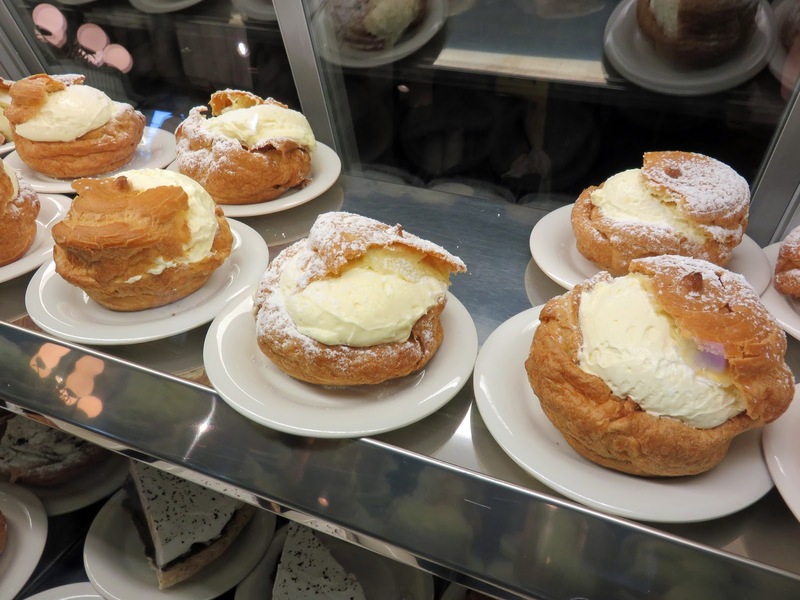 The pastry dough was pretty standard to me like a cream puff/profiterole should taste, but the cream was delicious. Not heavy like a custard you'll often find in a cream puff, but a whipped cream that clearly incorporated a lot of air. Let's just say we should have bought two. 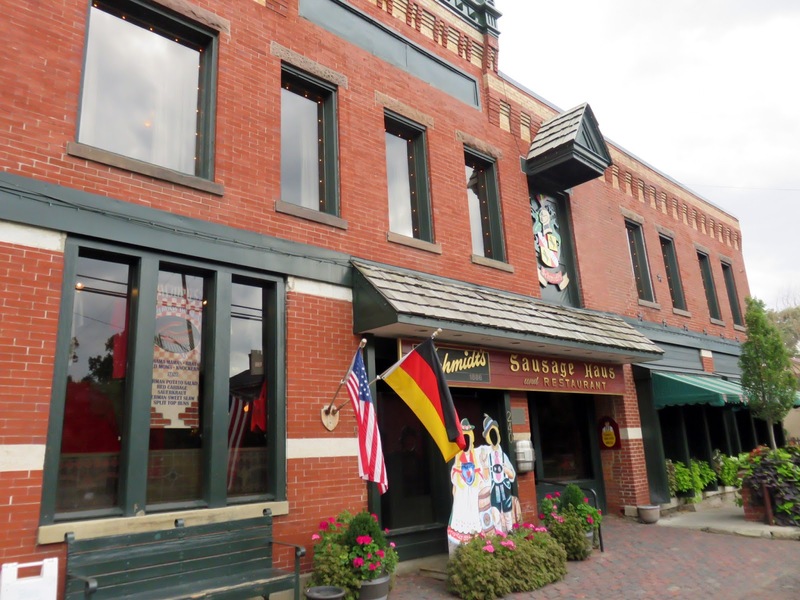 The German Village neighborhood that surrounds this restaurant is beautiful. 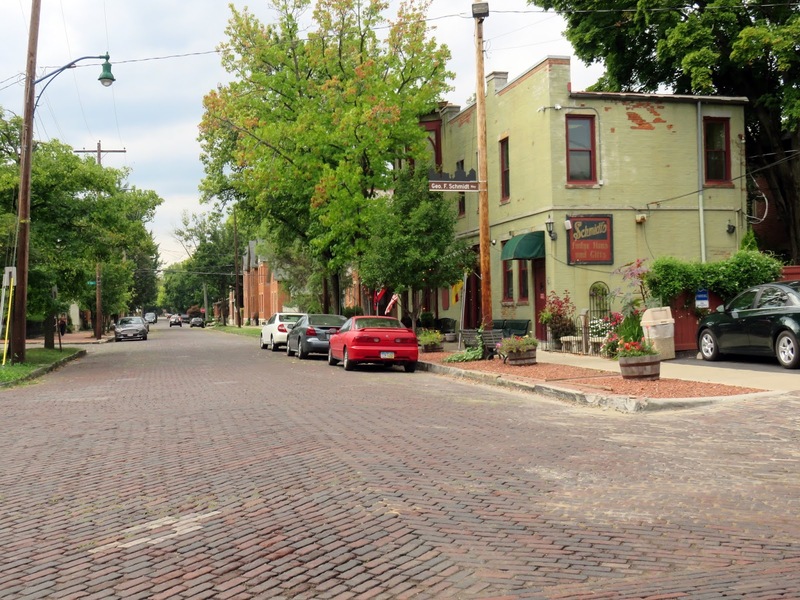 Tree lined paved streets, beautiful homes, little shops. Definitely worth the visit.